but I was not paid to write a review! All opinions are my own. 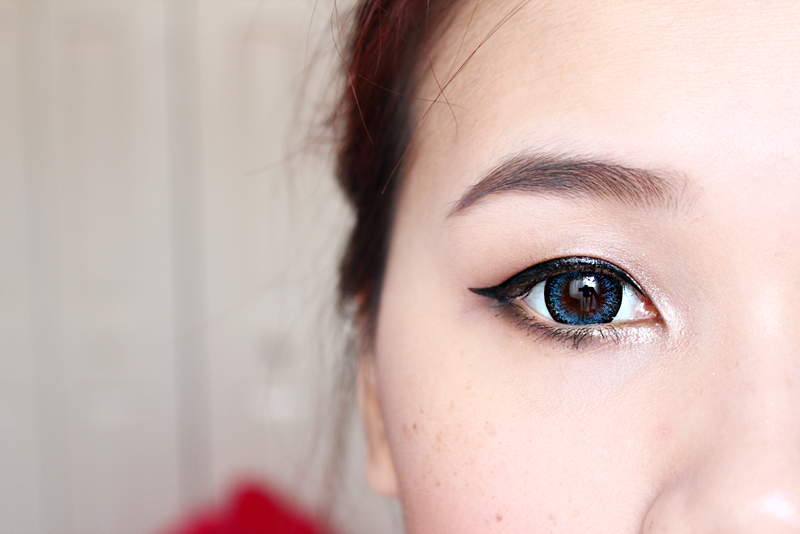 These lenses are probably the only "deep" colored lenses I have in my collection at the moment. To be honest I do not wear these lenses that often, since they are too "natural" for my taste. I noticed that in the daylight they give off a beautiful ocean color though. These are lenses that need to be worn with a bit of makeup since they are on the larger side. I would recommend them for school use or an everyday lenses since imo they're pretty natural, and extremely comfortable. If someone walked by, they aren't noticeable, so if that's what you're aiming for these aren't the lenses for you. . There is currently a Buy 2 Get 1 Free Sale!